The Canadian Union of Public Employees, CUPE filed a 72-hour strike notice for the 139 flight attendants who work for ultra-low-cost Canadian carrier Flair Airlines. 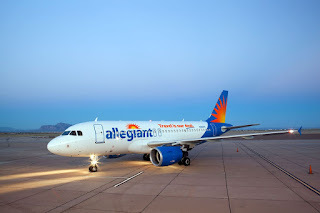 "Flair is transparently engaging in a divide and conquer strategy aimed at driving a wedge between workers in order to compete with other ultra-low-cost carriers. It is completely unfair to pay one group of flight attendants 30 per cent less for doing the same work as other flight attendants." Yee continued. Flair bases in Toronto, Calgary, Edmonton, Kelowna and Abbotsford, however, the airline believes its flying schedule will be unaffected. 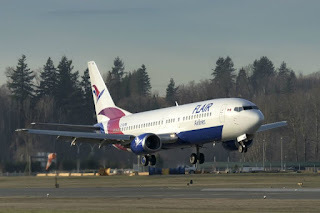 A Flair Airlines spokesperson told us, "Over the past few months, Flair Airlines has worked with CUPE to reach agreement on compensation terms for our team of flight attendants. To date, we have been unable to reach an agreement. As a result, CUPE has called for strike on Monday, December 10th, 2018. We have historically paid our team of flight attendants 30% higher starting wages than our competitors. We cannot continue to pay this kind of premium, and have requested all new flight attendants start at the same wages as our competitors. Our aircrew is at the heart of our organisation, and we believe our current offer provides a high quality of life for our flight attendants, while ensuring our business remains sustainable. After CUPE called the strike, we received considerable support from our flight attendants. Many contacted management to indicate they will work during any labour action called by the union. The support we have received suggests all flights will operate normally on Monday, but we recommend passengers check the status of their flight on our website."